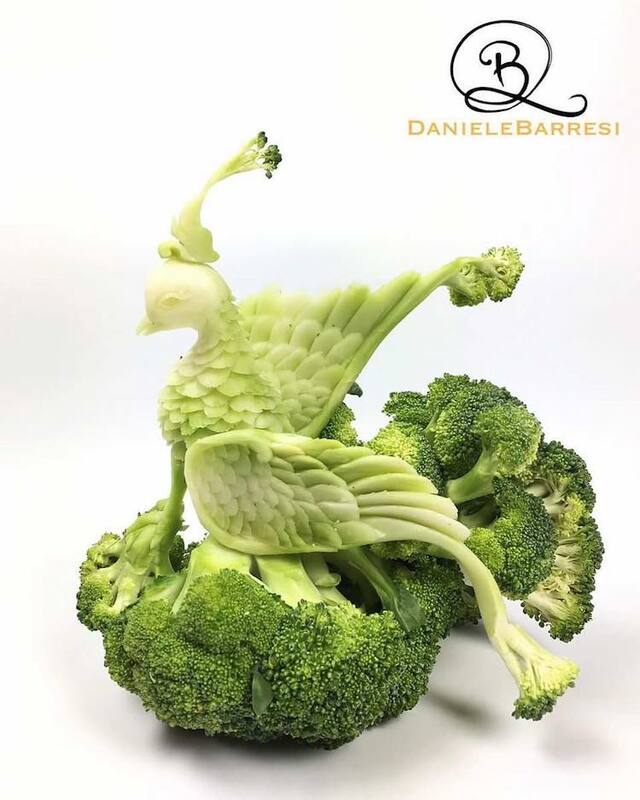 Italian born artist Daniele Barresi, now based in Australia, is an award winning carver. 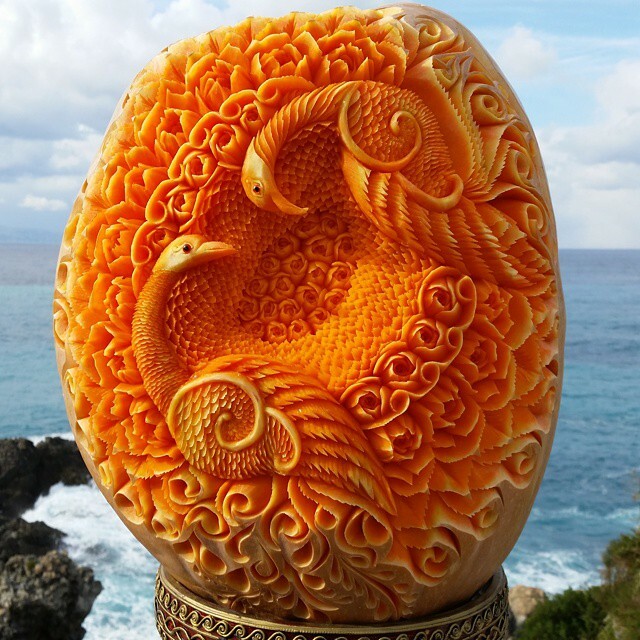 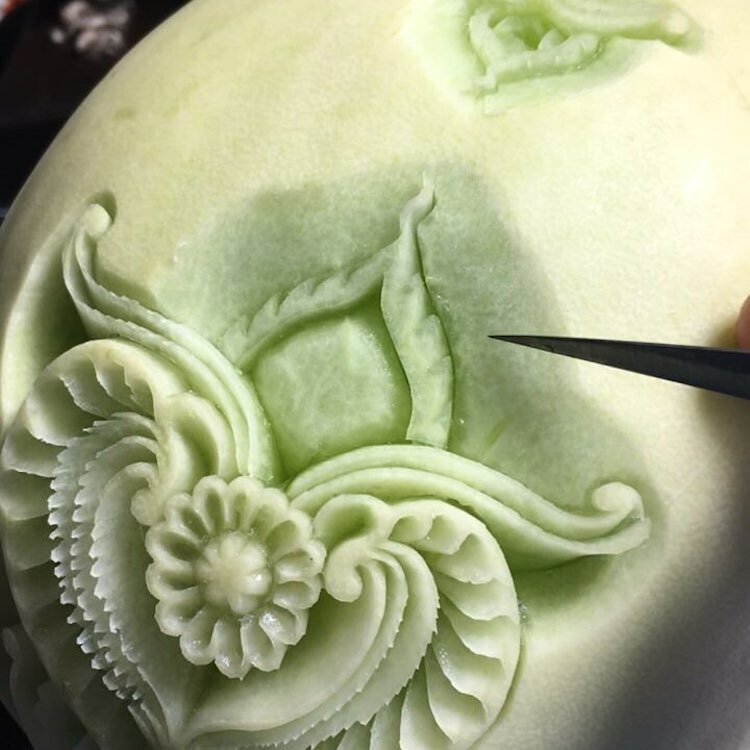 Creating intricate sculptures from fruit, vegetables and cheeses. 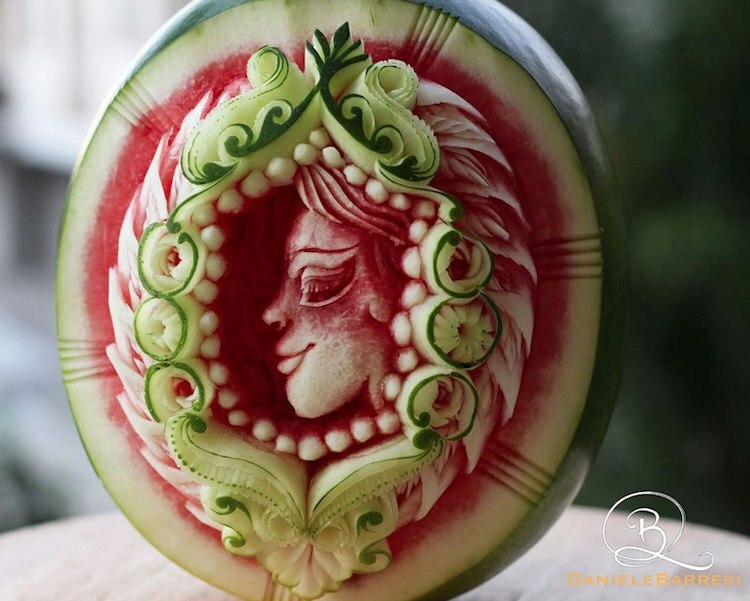 From fauna and flora to faces and mythical creatures, each a masterpiece on their own. 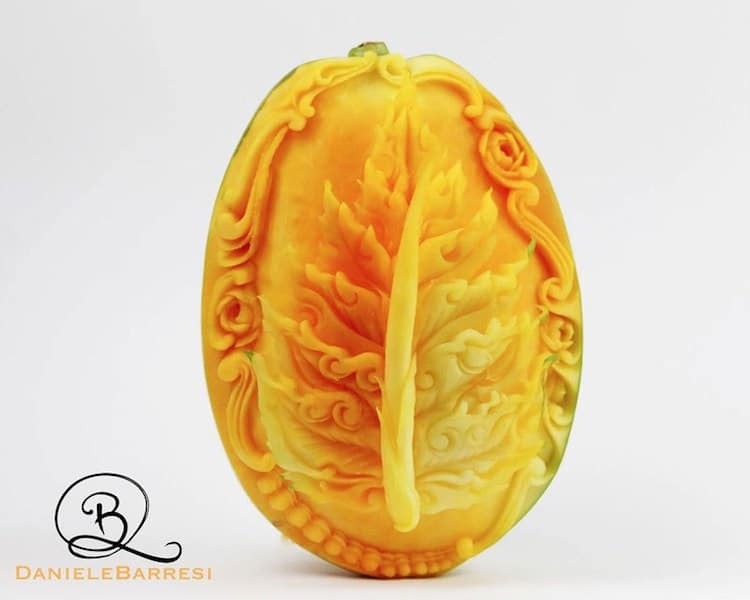 Barresi’s passion for his work shows in every piece. 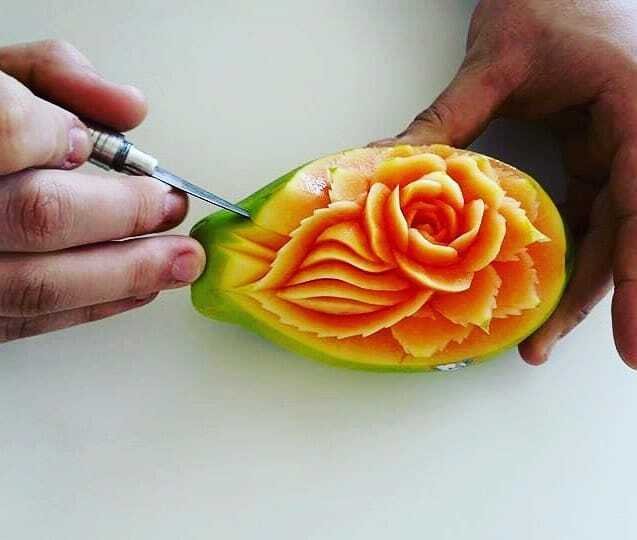 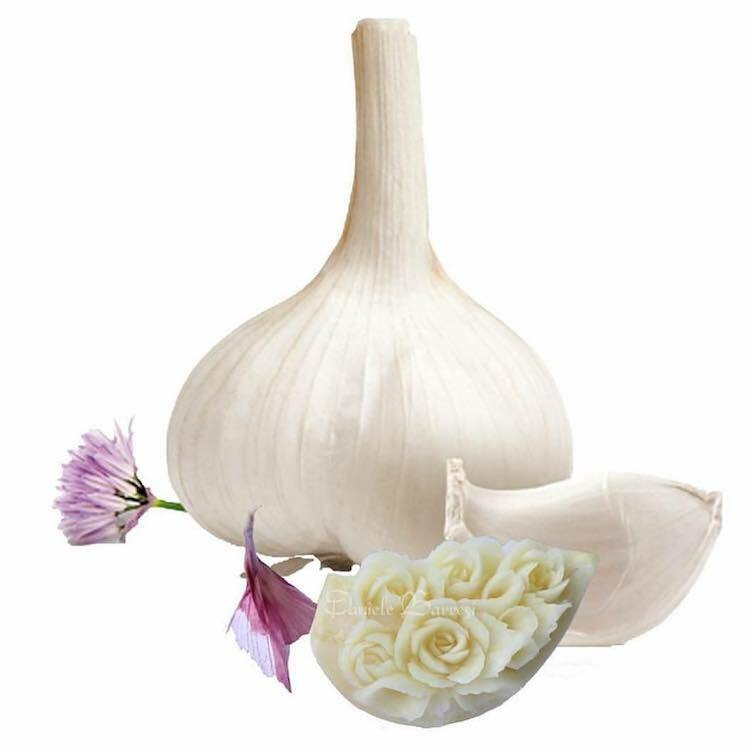 ‘’When I touch my knife, my mind gives up to the heart and transmits directly to the hands, giving different forms to the decorations. 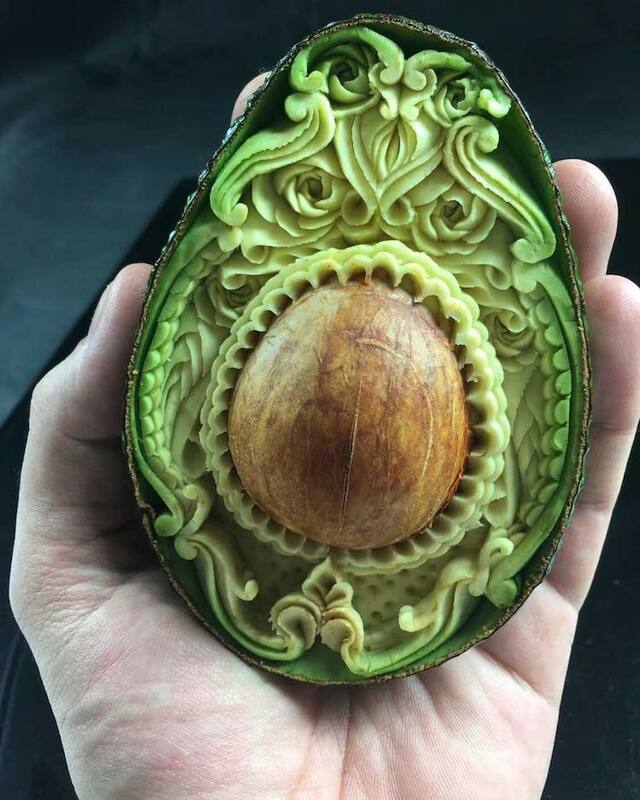 It’s like magic,’’ he says. 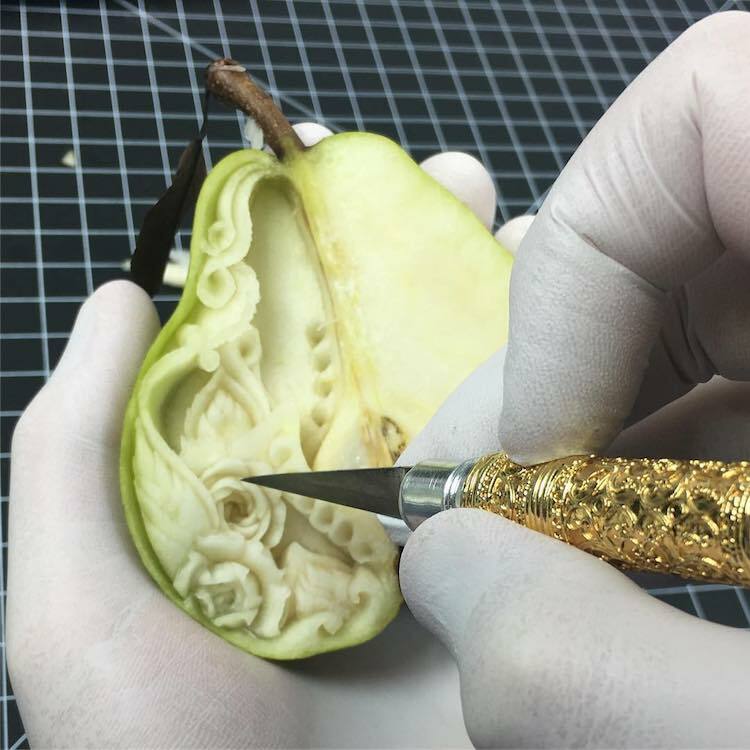 With a deft hand and keen eye, using a variety of tools such as knives, scalpels, peelers and melon ball makers Barresi creates exquisitely detailed sculptures which would not be out of place displayed in any art gallery.